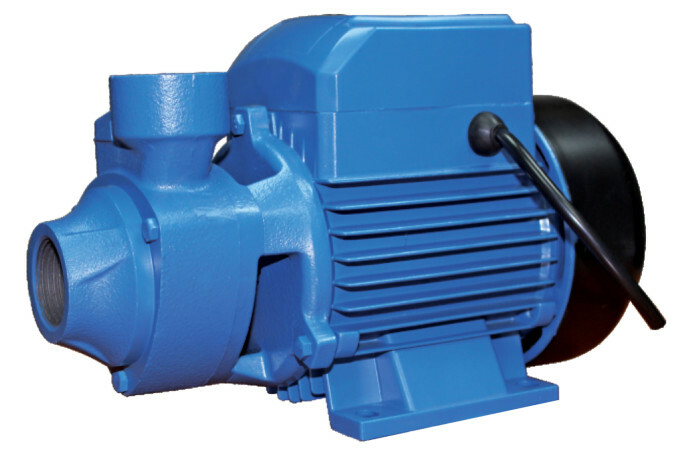 Peripheral pump is a centrifugal pump with an impeller equipped with a large number of small radial vanes on either side of its periphery(approach flow from both sides of the impeller), their characteristic curves are steeper than those of regenerative pumps. The shaft power of a peripheral pump decreases with increasing capacity. Peripheral pumps are also able to continue operating under conditions of vapour bubble formation (cavitation) without any noticeable disturbance in their smooth running. Disadvantages in comparison with conventional radial (impeller) pumps are the poor self-priming capability, noisy running and the low pump efficiency of peripheral pumps.